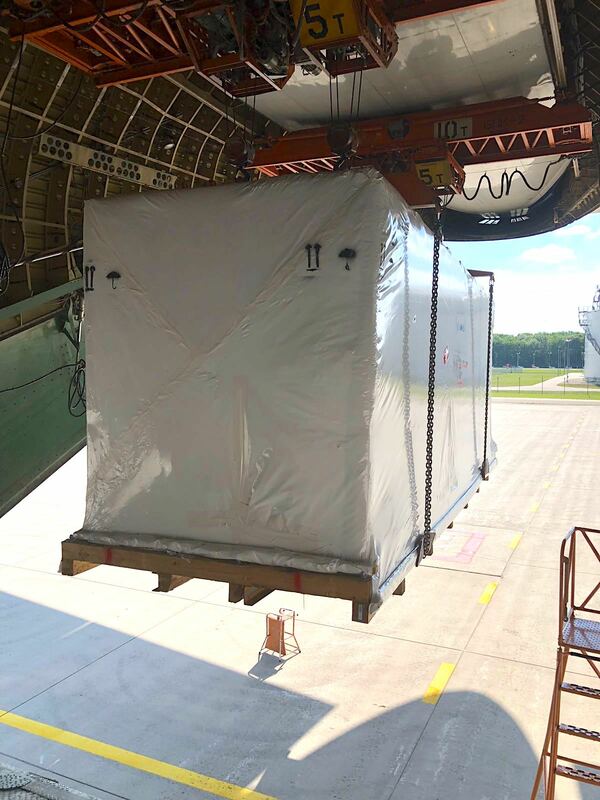 Volga-Dnepr Airlines has organised and operated a charter flight for its customer, LS International Cargo, delivering a Krones bottle-filling machine and additional equipment onboard its An-124-100 freighter. The cargo was loaded in Munich, where Krones’ nearest production facility in Germany is located, to be delivered to Entebbe, Uganda, for Crown Beverages, a leading soft drinks bottler in Uganda. The new machinery aims to boost its production facilities and production volumes to guarantee smooth distribution across Uganda and East Africa. Volga-Dnepr’s team of specialists organised an inspection of the cargo in Munich to find the most suitable loading solution. They also provided suggestions for cargo preparation for airfreight, including ways to minimise the time required for airport handling procedures on the day of departure. 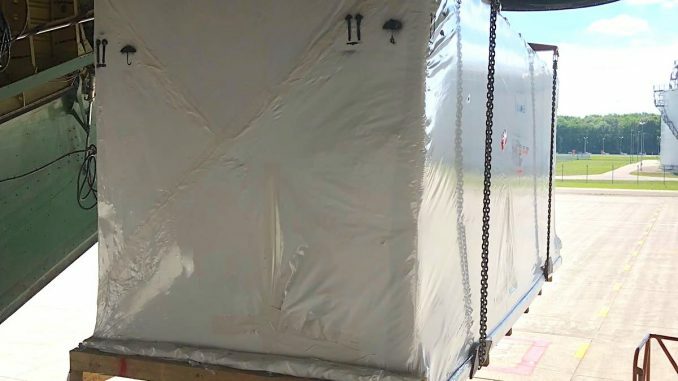 On the day of the flight, the machinery was loaded into the An-124-100 using special loading equipment and successfully delivered to Entebbe International Airport, the carrier said. “This project allowed us to showcase our expertise and experience in the provision of dedicated services for the energy and heavy machinery industries,” says Ekaterina Andreeva, commercial manager of Volga-Dnepr in the UK. “The ideal location of our regional operational base in Leipzig, Germany, with available operations personnel and essential loading equipment, made it possible to save time while organising on-site visits to Munich for cargo inspection. Accessibility of the airplane at our local operational base in Germany made the costs for positioning the aircraft minimal and the charter flight attractive for our customer price-wise,” she adds. Volga-Dnepr has been a leading transporter, for 28 years, of super-heavy and oversized shipments by air onboard its unique fleet of 12 An-124-100 and five IL-76TD-100 freighters for various industries across the globe, include leading companies in the energy and heavy machinery sectors. In 2017, the company saw a 21 per cent upsurge in tonnage and a 28 per cent increase in charter flights operated for energy and heavy machinery customers.